The general rule is that criminal court records are public. Not many people are aware of this but anyone who wants to research your background can go to a local courthouse and pull your information from the criminal database.You can call it convenience or a scary truth. The fact remains that any previous offense can be easily traced. In some states, however, there are ways to hide or even destroy this information. The process is called expungement or sealing, keeping all records tucked away from random viewing. There are requirements that one must satisfy for successful expungements to take place. If you are a Hawaii juvenile, the State of Hawaii allows your record to be expunged as long as the issue was not handled by a prosecuting attorney or family court and the case was dismissed. Hawaii law on expungment also states that a person who was not deemed responsible by the court, or the matter was dismissed with prejudice, can request for their records to be expunged. Expungement can also be granted to a person who is a non-violent first time drug offender upon completion of probation and treatment as long as they have never had previous cases expunged for a similar offense. The laws in Hawaii do not grant expungement for additional or similar cases. The law is also not lenient if there is an arrest for a felony or misdemeanor in the instance where a conviction is not obtained because of bail forfeiture. Nor will it benefit any person convicted for the first time for any Class C felony with certain or other previous offenses. In the case of a juvenile, if the offender is tried and found guilty, they or their parent or guardian (if still a minor) may petition the court in writing for an order of expungement. The court would then forward copies of the order to the police department and the Attorney General for expungement of the arrest record. A person arrested for an offense committed while under the age of 21, having those charges disposed of may also be done by petitioning the court for an order of expungement which would be granted after a hearing. Having your previous record expunged can make an enormous difference and be of great help when a person is trying to rebuild his or her life. You can be eligible based on the circumstances of your case. If you are considering applying for expungement, you should consult with an experienced attorney. A criminal defense attorney can advise you through the process and make sure your interests are represented. 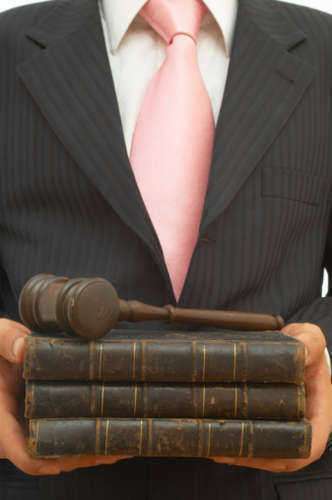 A legal professional will be able to advise you on the merits of your case and determine if expungement is an option. This process is worth looking into when it comes to protecting your privacy and past judgments. You should not have to carry the burden and be held accountable for past mistakes, especially when you have learned from it. The events of daily life can be challenging enough. Ensuring the events of past convictions are kept private gives you the fair shot that many in this situation deserve.